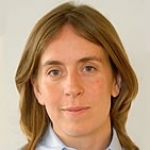 Isabel Dedring is the Mayor of London's Environment Adviser and is responsible for the full range of environmental issues including climate change mitigation and adaptation, urban greening, low-carbon vehicles and waste. She has worked on environment for London government, both at Transport for London and the Greater London Authority, for the last five years. This included producing London's Climate Change Action Plan, the first plan by a city to lay out detailed, quantified policies and programmes for attaining a set of ambitious CO2 targets. The Mayor's key environmental programmes focus on large-scale, on-the-ground delivery; these were recently summarised in "Leading to a Greener London." Isabel is a qualified lawyer; previous job experience includes four years in management consulting and several years working with environmental NGOs and inward investors in Kazakhstan.